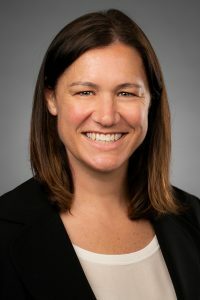 News: AW Attorney Aimee Wagstaff makes MDL history as Court appoints her National Co-Lead Counsel of the Ethicon Morcellator MDL with a PSC comprised of majority women! Additionally, the Honorable Joseph R. Goodwin, Chief Judge, United States District Court for the Southern District of West Virginia, recently appointed Aimee to serve on the Plaintiffs’ Steering Committee of: (1) MDL 2187: In Re C.R. Bard, Inc, Pelvic Repair System Products Liability Litigation; (2) MDL 2325: In Re American Medical Systems, Inc. Pelvic Repair System Products Liability Litigation Repair; (3) MDL 2326: In Re Boston Scientific Corporation, Pelvic Repair System products Liability Litigation; (4) MDL 2327: In Re Ethicon, Inc, Pelvic Repair System Products Liability Litigation; (5) MDL 2387: In Re Coloplast Corp. Pelvic Support Systems Product Liability Litigation; (6) MDL 2440: In Re Cook Medical, Inc. Pelvic Repair System Product Liability Litigation; and (7) MDL: 2511 In Re Neomedic Pelvic Repair System Product Liability Litigation (collectively, transvaginal mesh (TVM) MDLs). Judge Goodwin also appointed Aimee to serve on the eight-member national executive committee overseeing the TVM MDLs and to serve as national co-lead of MDL 2326 against Boston Scientific Corporation. To date, Juries across the County, in several different jurisdictions have awarded TVM Plaintiffs over $240,000,000.00. Aimee was part of the trial team against Boston Scientific wherein a jury from the Southern District of West Virginia awarded 4 TVM Plaintiffs $18,500,000.00 after determining that Boston Scientific’s Obtryx product was defectively designed. The TVM MDLs will be remembered as one of the biggest (both in volume and value) product liability cases in American jurisprudence. For her first leadership appointment, the Honorable Judge Andler from the Superior Court of California, County of Orange appointed Aimee Plaintiffs’ co-lead counsel of the Judicial Council Coordinated Proceedings (JCCP) 4615 In Re: Infusion Pump Cases. JCCP 4615 is a products liability proceeding against several medical device manufacturers after several hundred patients developed chondrolysis following the placement of a pain pump catheter after shoulder surgery. In March 2013, Aimee founded and hosted the first annual “Women En Mass” (WEM) retreat that was held in Aspen, Colorado. WEM is an annual working retreat for amazing women in mass torts — a time to relax and enjoy each other’s company while creating new, and fostering old, relationships. If you are interested in attending, check out WEM’s website or contact Aimee directly, she would love to include you on the next invite/distribution list. If you are a social media type, “Like” Women En Mass on Facebook. Aimee earned her undergraduate degree in Marine Science and Communications from the University of San Diego, where she played on the women’s soccer team. $18,500,000.00 BSC TVM Verdict: Boston Scientific gets slammed with huge verdict. AW Partner Aimee Wagstaff was an integral part of the trial team that represented 4 Plaintiffs who were injured after being implanted with Boston Scientific’s Obtryx product. After a month trial in the Southern District of West Virginia, the trial team secured a verdict of 18.5 Million dollars, including punitive damages after the jury found the Obtryx product was defective and Boston Scientific failed to warn the doctors. The trial was held before the Honorable Irene Berger. Included in the 24th Edition of The Best Lawyers™ in America for Mass Tort Litigation / Class Actions – Plaintiffs. 2017 Recipient – “2017 Young Innovator Award” – Mass Torts Made Perfect. 2016 Member: “The RoundTable: America’s 50 Most Influential Lawyers” – The Trial Lawyer. 2015 Article – “Empowering Women in Mass Torts“ – American Association for Justice. 2014 Article – “Blazing Through Mass Torts“ – American Association for Justice. “Nationally Ranked Top 10 Attorney Award” For excellence in the field of Personal injury. 2010 Finalist –” Up and Coming Lawyers” – Law Week Colorado. Harris Martin Roundup Litigation – Co-Chair; Chicago, Illinois – June 29, 2017. Harris Martin Women’s Health Litigation Conference, Part II – Co-Chair; Beverly Hills, California; June 16, 2017. Harris Martin MDL Conference: Physiomesh, IVC Filters & Xarelto – Roundup Litigation Update; San Antonio, Texas; May 24, 2017. Co-Chair – Mass Tort Med School + Class Actions, Orlando, Florida; March 15-17, 2017. AAJ – Diversity in Mass Torts; November 30, 2016; Charlotte, North Carolina. Harris Martin Women’s Health Litigation Conference – Part I – Co-Chair; Beverly Hills, California; June 22, 2016. Harris Martin MDL Conference: ‘Bet the Company’ Mass Tort Litigation; Chicago, Illinois; May 25, 2016. American Association for Justice (“AAJ”) National Convention – Transvaginal Mesh; Montreal, Quebec, Canada; July 12, 2015. HM’s Lumber Liquidators Flooring Litigation Conference – Is there a Personal Injury Case? – Minneapolis, Minnesota; May 27, 2015. HM’s MDL Conference – Xarelto, Morcellators & Emerging Torts – (1) Power Morcellator Science and Liability Issues; (2) Litigation Updates – Transvaginal Mesh, Low T, Risperdal, Talc and Fluoroquinolones (FLQ); and (3) Zofran – San Diego, California; March 25, 2015. American Association for Justice (“AAJ”) – Power Morcellator Litigation Webinar – February 11, 2015. American Association for Justice (“AAJ”) – Plaintiff-Only Hot Topics and Trends in Litigation; Miami, Florida; January 28, 2015. American Association for Justice (“AAJ”) National Convention – Transvaginal Mesh; Baltimore, Maryland; July 28, 2014. Guest Professor, The University of Texas School of Law – Using Documents in Regard to Pretrial and Trial Strategy; Austin, Texas; February 20, 2014 & February 26, 2015. American Association for Justice (“AAJ”) National Convention – Case management Strategies; San Francisco, California; July 20, 2013. Plaintiff Pharma Forum Seminar, Transvaginal Mesh – Where We’ve Been; Where We’re Going, Los Angeles, California; March 15, 2013. Women En Mass –Founder/Host, Aspen, Colorado – March 4-5, 2013. Plaintiff Forum on Pharmaceutical Litigation – Transvaginal Mesh, Actos & Orthopedic Devices, TVM: Products, Medicine and More, Philadelphia, Pennsylvania; October 5, 2012.